Aikido may be for you if...is it important to you to avoid harming an attacker unnecessarily? Do you like circular movements? Are you interested in defense against multiple attackers, defense against weapons and how to use weapons? Are you uninterested in competition? 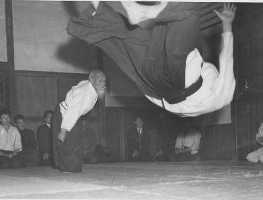 Aikido was one modernization of Jujitsu by Morehei Ueshiba in the 20th century. In Westchester, Aikido classes may have some basic exercises in the beginning, but eschews the use of forms. Aikido class immediately moves to the ongoing practice of application with a partner which employs circular movements to throw or pin an assailant using their power. The movements can be simple or quite complex and the grappling is not quite so up close and personal as in Judo, for example. 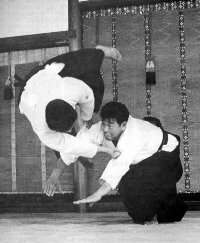 Aikido also emphasizes defense against multiple attackers. Weapons training with sword and staff may include defense against armed attacker(s) as well as sword vs. sword, etc. Pure Aikido eschews competition completely and teaches controlling an attacker rather than harming them from the outset. Exercise tends to be aerobic. To build leg strength, one learns to travel on their knees with the same agility as when standing.